Where can you find Aluminum Heat Sinks Die Castings in 2018? Aluminum Die Casting is a tough and durable metal. It is as durable as steel in some cases. The aluminum alloy is lightweight, weighing only one third the weight of a steel bar of the same size and shape. It is electrically conductive. Aluminum is also heavily abundant, making it very easy and cheap to acquire. This makes aluminum most ideal for making heat sinks die castings. Aluminum heatsinks die castings are mainly used to regulate, ingest and disperse the heat generated by machines, engines, products by direct thermal contact. Aluminum heat sinks and die casts are used by plenty of manufacturers due to its efficient heat dissipation approach processes. Aluminum heat sinks provide hydraulic qualities to cool different areas and parts of a particular engine or machine. They also protect the devices from exposure to high temperatures. Aluminum (or aluminium) is the preferred metal used to produce heat sinks because of aluminum’s thermal conductive properties, the weight of the many aluminum alloys and, the natural electrical conductivity of aluminum. Initially, heat sinks were produced as extrusions. The extrusion process is to heat aluminum to a point just before melting temperature and then “squeeze” or extrude the aluminum through a form creating long aluminum sections that will need to be cut into the proper part lengths. Then the part is machined for mounting holes and other features. There is wasted aluminum because the material cut away cannot be used in the extrusion process again. Also, many times the lengths have left over amounts that are too short to be used to make parts. In the die casting process, we inject aluminum into a die forming the heat sink. As a die casting part, the mounting holes and special features can be die cast into a “net shape” part. There is not wasted aluminum in the die casting process because the excess aluminum is remelted and used to form additional parts. Also in the die casting process, there are no “left over” sections. 1. Machining holes and features is not necessary saving money in the production process. 2. Time is saved in manufacturing because machining is not necessary. Kinetic Die Casting Company produces many types of aluminum heat sink parts. 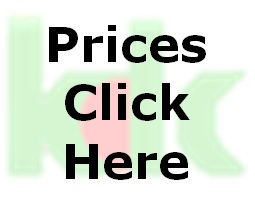 Contact Kinetic Die Casting Company to purchase your die casting parts or die casting tooling. Manufacturers are specifying the die casting process to make heatsinks in aluminum. What are Aluminum Heat Sinks? The material, aluminum, has great thermal conductivity. Aluminum is a strong and durable material, which is why this is an ideal metal to use in heat sinks. This metal is found in the earth and is extracted from ore. Some say that it is more valuable than gold even though it is very abundant since this metal can be used in a variety of ways due to its unique characteristics of being strong, durable yet light in weight. It is used as a part of many appliances people commonly use as well as electronics. Aluminum Heat Sinks are just one of the products made with this metal. Video of the die casting metal flow into a die casting mold to produce an Aluminum Heat Sinks. Aluminum Heat sinks have one purpose, and that is to take away the heat from more sensitive parts in the appliance or electronic product it is in. Since electricity produces heat, it can damage the product. By placing a Die Casting Aluminum Heat Sink, the heat is diverted from the wires, boards and other more important parts of the product so that it can continue to function. Since aluminum is a very durable material, it is ideal for this job. Now, Aluminum Heat sinks are made by using the die casting process, a process which involves melting the aluminum first. The liquid metal will then be injected into molds, these molds will give the metal its new shape. Once the molds are cooled, it can now be opened and that’s it, a new heatsink has been finished. 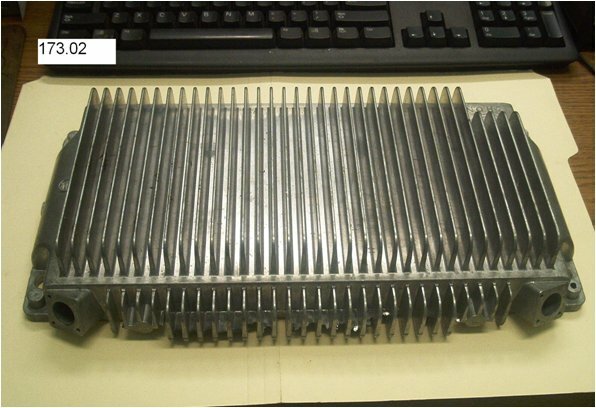 Since heat sinks are used by a lot of manufacturers, they are needed in large quantities. Die casting is the best way to provide large numbers of Aluminum Heat Sinks since it is a fast, cheap and reliable method.